Writing for publication requires a certain amount of talent, along with persistence, drive and ego. Thus, many writers are complicated and competitive people. Virginia Woolf was no exception. That’s why the current discussion on the VW Listserv, which involves what is often described as “the rivalry” between Woolf and James Joyce, is worth reporting. It shows her as the complex, multi-dimensional person she was. I believe it is important, however, to place Woolf’s musings about Joyce within the context of women’s history. For it is that context that helps frame her response to him and his art. As postings to the list have mentioned, Woolf’s comments about Joyce were not consistent. Sometimes she praised him; sometimes she criticized him. Both her praise and her criticism could be extreme, colored by intense feeling. That same month, in two other diary entries, Woolf admits that by not reading the work carefully, she had probably “scamped the virtue of it,” and that she had her “back up on purpose” against Joyce’s experimental novel. 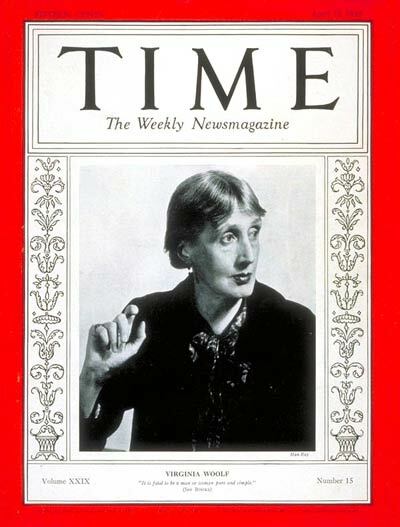 I think we need to be aware of more than Woolf’s class consciousness and competitive spirit about her writing. We also need to remember that in 1922, she was an anomaly. She was a woman writing in a man’s world. In 1922, British men still ruled England, despite the fact that nearly three-quarters of a million of them were slaughtered on the World War I battlefront while women proved their mettle on the home front. In 1922, women in England had only been able to vote for four years. But even then, not all adult women had that right. Younger women — age 21 to 30 — were not given the franchise until 1928. In 1922, it had only been two years since a woman had been admitted to Oxford University as the first full degree candidate. And in 1922, the equal pay for women clause of the Treaty of Versailles had been universally ignored for three years. 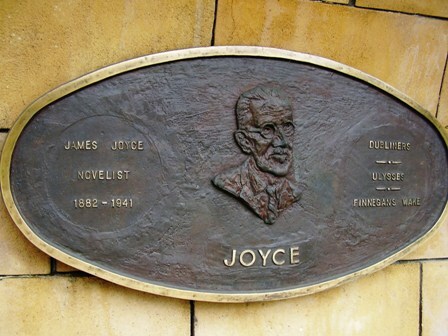 As Woolf scholar Mark Hussey put it, “In 1922 Ulysses was certainly a song heard loud and clear, with the potential of drowning out others” (Virginia Woolf A-Z 134). Woolf, who shared the year of her birth and the year of her death with Joyce, refused to be submerged. Editor Newark: University of Deleware Press, 1988. The 1985 Joyce Symposium proceedings, with critical introduction and selections on Recent Theory, Forms in Fiction, Analogies from Art, Feminist Revisions, Joyce and Other Women Writers, Influences and Resonances, and Textual Workshops. James Joyce: Harvester Feminist Readings Series. London: Harvester Press, 1987. “A Joyce of One’s Own.” Rereading Modernism: New Directions in Feminist Criticism. Ed. Lisa Rado. New York: Garland P, 1994. 209-230. While a well written article, I felt this article focuses too much on Woolf’s resisting the patriarchy of the canon as a justification for Woolf’s commentary. Don’t get me wrong, I love Woolf but one must give the whole story. So here are a few more elements for your consideration; first off, the colonial situation must be considered. Woolf was middle-upper class British, and thus was predisposed towards seeing members of the still unwilling colony as lesser. When she describes “Ulysses” as an ”illiterate, underbred book … of a self taught working man” she draws from the larger derogatory intellectual stigma of the Irish. This is precisely what most English would have considered an Irish person trying to match them at their own game. In addition, “Woolf vs. Joyce” suggests Joyce fought back, but there is little evidence that Joyce even commented on Woolf’s work; unfortunately, it is more of a Woolf attacks Joyce situation if anything. Just some thoughts for a wider picture, but overall I really enjoyed the article and found it to be a nice, brief, and enjoyable summary of Woolf’s feelings. The VWoolf Listserv does have an archives. I searched my emails and found instructions regarding it. They were sent by the list owner, Anne Fernald of Fordham University. Unfortunately, it is not easy to search them: remember, I beg you, that listservs are pretty primitive technologies and so you end up wandering into the dark ages of the internet on this quest. log9807 (1 part, 2023 bytes) — What? How’d you know? Finally, the archives go back some ways (to 2001 or so–maybe Brenda Silver remembers better than I?) but not ALL the way. ONE MORE COMMENT: IT IS DIFFERENT TO HAVE A TALENT IN LINGUISTICS LIKE JOYCE (HE HIMSELF ADMITS IN HIS PORTRAIT OF AN ARTIST THAT HIS FUTURE AS A WRITER WAS NOT TO BE FOUND IN BEAUTIFUL WORDS OR DEEP MEANINGS BUT IN THE RYTHMIC GAME WITH WORDS) AND DIFFERENT TO BE A GREAT POET OF THE LANGUAGE, AS VIRGINIA WOOLF DEFINES “THE GREAT POET” IN HER BROADCAST FOR BBC -…..ONLY A GREAT POET KNOWS THAT THE WORD INCARNADINE BELONGS TO THE MULTITUDINOUS SEA…, ONLY A GREAT POET KNOWS, ONLY VIRGINIA WOOLF KNOWS, THE GREATEST POET OF HER CENTURY…. Christine Froula has called them. This seems to me the way “Woolf vs. Joyce” also reads the two writers. It also occurred to me to note how Virginia Woolf in “Professions for Women” talks about her own difficultites with the so-called Angel in the House. This also seems to some extent to mark the Woolf/Joyce divide, if there is one. In any case, I mainly wanted to express my enjoyment of this article and say I like this blog. This is my first post here, so perhaps I should say that I’m reading Woolf in the context of working towards a doctoral degree. I like the discussion here and wanted to say that. Thanks for sharing your thoughts, and good luck with your doctoral work. HALLO, I AM A GREAT ADMIRER OF VIRGINIA WOOLF AND A WRITER MYSELF AT MY FIRST STEPS. WOOLF IS THE GREATEST WRITER OF THE TWO. READING ULYSSES IT REMINDED ME OF A HUGE HUGE SHIP, READY TO CONQUER THE OCEANS, WHEN I REALISED IT WAS TIED WITH A TINY ROPE AT THE HARBOUR AND SAILED NOWHERE. BY THAT I MEAN, THAT THE AMBITION WAS VERY BROAD BUT THE FULFILLMENT SO POOR -AND POOR BECAUSE NOT A SINGLE SENTENCE OF IT IS LIFTED FROM THE GROUND. FORM AND THE PLAY WITH THE FORM CAN KEEP THE INTEREST FOR 3, 5, 10 PAGES TILL THE READER REALISES WHAT IS IT ABOUT. TO GO ON READING ONE NEEDS INTERESTING CONTENT, IN ULYSSES CHAPTERS LAY LIKE BULKS,ONE NEXT TO OTHER, HEAVY, WHILE WOOLF WITH NOT SO BROAD A HORIZON, IT IS TRUE, SOARS HIGH, BEAUTY, HARMONY ARE UNBELIEVABLE! JOYCE HAS TALENT BUT MUTE TALENT, CAN NOT CONTROLL HIS PAGES, WOOLF HAS TALENT AND SIMPLY SHES IT LAVISHLY FROM HER LIGHTHOUSE…. Anne, thanks for adding more interesting angles to the discussion. We are so lucky to have Woolf’s diaries to inform our conversations and our research. But we need to remember just what you said — that writing in a diary is often a way to process information and blow off steam. It seems unfair to judge a writer by her diary entries. No wonder Virginia was so focused on Leonard destroying her papers after her death. Another factor, of course, is that Woolf was, like Joyce, a novelist. Eliot, as a poet, was not in direct competition with Joyce. Two other members of the Bloomberg Circle … the husband of Vita Sackville-West (Harold Nicolson) and John Maynard Keynes were present at the Paris Peace Conference of 1919. Some great color and insights into their activities are in my exciting new book about the Treaty of Versailles and especially its CONSEQUENCES — book, “A Shattered Peace: Vesailles 1919 and the Price We Pay Today” [www.ashatteredpeace.com], available now on Amazon and lots of bookstores !